The Short Version: For Chinese singles living overseas, dating can be an incredibly frustrating balance between honoring traditional values and integrating modern, international styles. Many online dating sites and apps are too casual for Chinese daters or focus too much on hooking up and not enough on finding like-minded, long-term partners. That’s why 2RedBeans was founded. As a Chinese dating platform with more than 1.3 million members, it is a popular way for those living abroad to connect with singles from their culture who they can relate to — and possibly love. Modern dating is hard enough, but if you add in your family’s desire for you to meet a partner of the same ethnicity while living overseas, it can become even more daunting. But that scenario is a reality for many Chinese singles abroad. An estimated 30 million more men than women in China will be looking for a partner by 2020 thanks, in part, to the country’s gender gap brought on by the established one-child policy. By 2030, more than a quarter of Chinese men in their 30s will still be unmarried. That pressure to find a partner gets even more intense when living overseas. With the gender imbalance, one would think Chinese women would have an easier time finding a partner, but that isn’t the reality, either. Many Chinese women are working hard at their careers and are selective in finding a partner who understands and honors them. 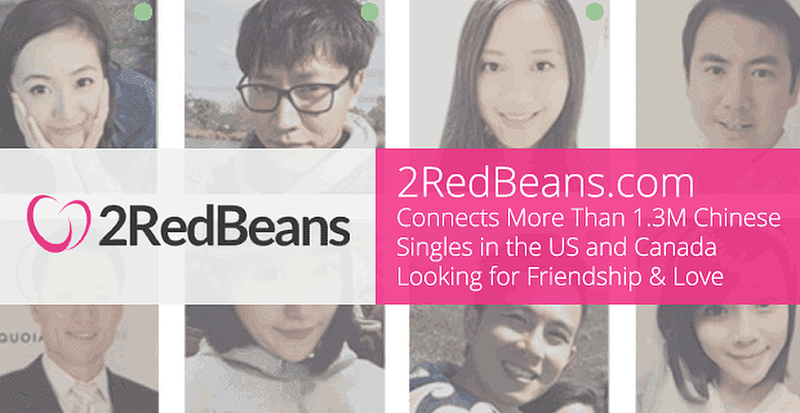 2RedBeans was designed to make it easier for Chinese singles abroad to find like-minded daters. Chinese culture doesn’t tend to mesh with the casual nature of so many online dating sites and apps. That’s why more than 1.3 million Chinese singles living outside of China turn to 2RedBeans, the largest online dating platform for Chinese men and women that helps them overcome cultural and geographical barriers to love. It is also available as an app on iOS and Android devices for tech-savvy Chinese daters who desire mobility. Q Zhao is not a stranger to challenges. At age 14, she attended Xian Jiaotong University in China, where she studied to be an electrical engineer. 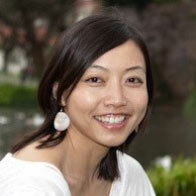 She later earned her Ph.D. from the University of California, San Diego. But, while she succeeded professionally and academically, she had less success in her personal life. At 31, her six-year relationship ended, and soon after, her family added to the pressure when they started hinting that it was time for her to get married and have children. So Q began to go on frequent dates, attending singles events and registering for as many online dating sites in the US as she could. She even started organizing her own social events, but, even after four years, still had trouble finding someone who shared her background, culture, and values. Q Zhao, the Co-Founder of 2RedBeans, met her future husband on the platform. So she co-founded 2RedBeans in 2011 and soon became aware of how powerful the site could be. When a man who signed up for the site caught her interest, she contacted him, and they began dating. They were married 90 days later and have been happily together ever since. The site is led by Q — who was named one of the “13 Badass Immigrants In Technology” by Business Insider — and is run by a team of professionals who care about helping Chinese singles living outside of China find love. The team also includes researchers who study relationships and matching as well as dating experts who run the blog. 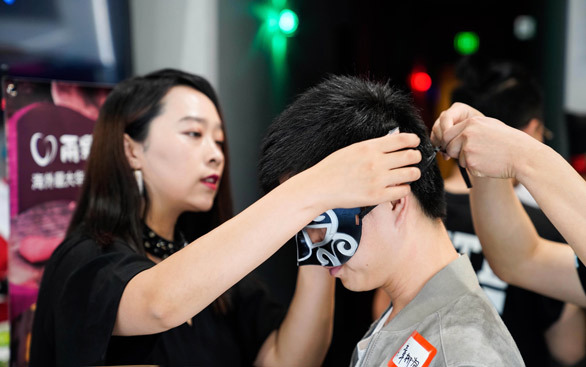 Experts help members connect with fellow Chinese daters with whom they’re compatible. Its membership is smart, too. Approximately 90% of members hold a bachelor’s degree, and 75% hold a master’s degree or higher. In the US, 60% of users are men – which gives them better odds than the singles scene in China. A free membership allows you to browse for singles and send simple chats to those who pique your interest. A VIP membership gives you access to more chat capabilities and better filters let you see those who fit your criteria. The goal, of course, is to connect people in real life. The ultimate goal of 2RedBeans is to get Chinese daters to meet in the real world. “We also have a secondary goal to keep our female users as safe and free from harassment as possible. Normally, it is free to message our VIP members; however, for our VIP women, we only allow men whose accounts have reached a certain level to message them for free,” Bessie said. The nudge feature is designed to get daters to meet in the real world. If two members have been chatting for a while, the 2RedBeans team will send a message encouraging them to meet. As a result, more than 100,000 users have found the love of their lives on the site. And a new AI matching algorithm will make the site’s matches even more successful, Bessie said. 2RedBeans is helping Chinese men and women living outside of China to date within the Chinese community. On that front, the site launched a personal matchmaking option that connects singles with professionals who conduct interviews and help discover potential partners who could become long-term love interests. 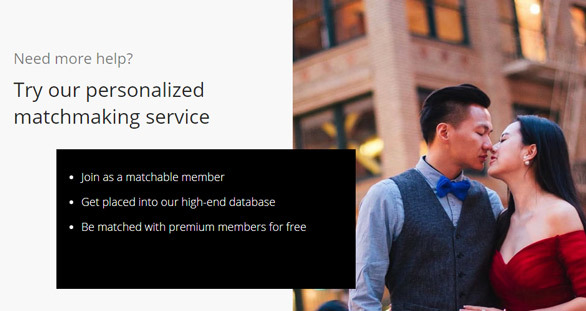 The 2RedBeans team offers a personal matchmaking service to give singles more options. The 2RedBeans team organizes many singles events each year, as well. Check the schedule for speed dating events, games, and parties, all to get Chinese singles happy and talking. “Naturally, we’re always working to improve our products and looking not just to provide a way to search for people, but also a way to educate people to improve their understanding of dating and relationships,” Bessie said.